WNEW-FM 102.7 All Girls Format. 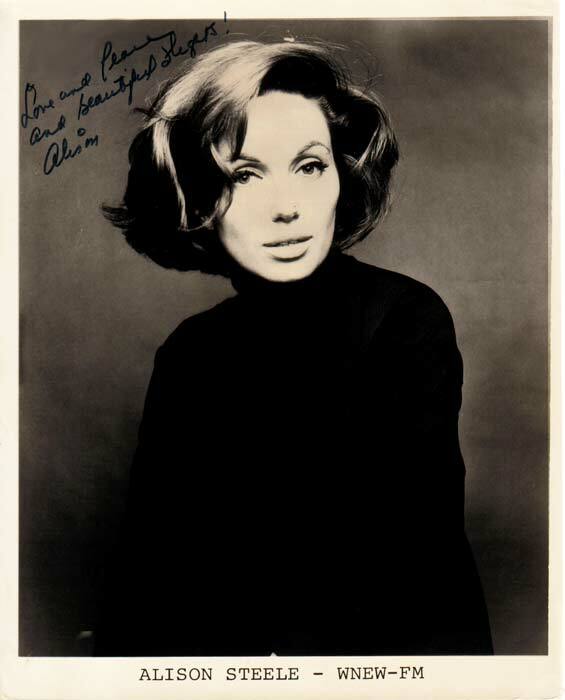 In 1966, WNEW-FM adopted an “all-girls” MOR format which included Alison Steele. She was something: beautiful, commanding, a legend. Famous for reciting husky, spoken-word poetry over prog-rock records all night (“The Nightbird”). The above is a promotional flyer from that brief period. It’s from the The New York Radio Archive, a comprehensive archive of free-form, underground FM rock radio from the 1960s - 1970s.